Bradford Manor is a gated community in north Sarasota, Florida, featuring both newly built and pre-loved townhouses which are prime picks in listing of Sarasota homes for sale. Resales in this property are typically those built by Scottsdale, Arizona-based national developer Taylor Morrison, which started building in this property onwards 2009. The new construction in Bradford Manor, on the other hand, are mostly makes of Florida regional builder Highland Homes. Due to its great location, Bradford Manor is a residential development which could pique the interest of rental property investors and households inclined to settle in one of Sarasota’s bedroom communities. This neighborhood sits between Myrtle Street and 47th Street, occupying the entire western flank of the Rolling Green Golf Course. Notably, plans were announced in 2018 to convert this course into a 600-home residential community. 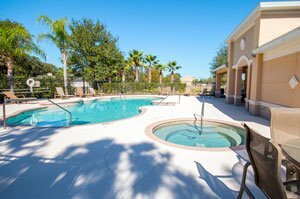 Bradford Manor is a maintenance-included community developed with common facilities including a swimming pool, hot tub, and cabana located near the property’s Myrtle gate. This Myrtle entrance leads off to a lone internal street—Grantham Drive—extending all the way north to 47th Street for convenient mobility of the residents. Besides exterior dwelling maintenance, the community’s HOA fees include cable TV, pest control and lawn service. Highland Homes’ new construction at Bradford Manor are spacious in their two-story builds with open living areas, private master suites, and gourmet kitchens. 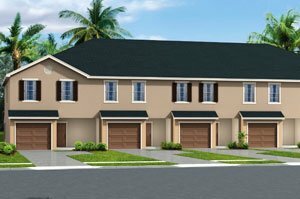 Each residence also come with a covered lanai with storage closets and one-car garage. Designed with convenience, easy maintenance and luxury in mind, these Braford Manor homes for sale boast of premium finishes while sporting neutral tones which make them easy to decorate in accordance with the buyers’ tastes and preferences. Highland Homes has two floor plans at Bradford Manor: the 1,713-square-foot Kendall and the Bailey layout featuring 2,097 square feet of living space. Both are designed with three bedrooms, two full baths and a half-bath. Introductory pricing for these residences is pegged in the $220s. Townhouses of earlier construction at Bradford Manor come in floor areas of between 1,100 and 1,600 square feet, also with three bedrooms, two baths and a half-bath. Pricing of these smaller and older builds are typically in the high $100s. Some comparables to these residences could be found in two well-established neighborhoods flanking north and south of the nearby Rolling Green golf links. 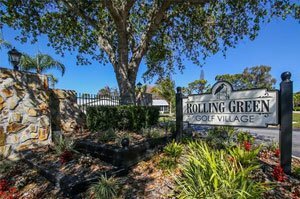 Off 47th Street on the northern side is the villa community of Rolling Golf Village developed for age 55-plus residents. Nearby too on Myrtle Street is the gated Rolling Golf South which not an age-restricted neighborhood also comprised of two-story townhouses. Sarasota homes for sale in the two neighbors of Bradford Mansion are popular amongst families and seasonal residents, given their proximity to local area amenities. Booker Middle School, for one, is walking distance west of these communities. Downtown Sarasota and its various shopping and dining options plus its parks, art shows and museums are all just a short drive from the Bradford Mansion locale. As easily accessible are the myriads of retail outlets in the Mall at University Town Center. To cap it off, local residents can conveniently take convenient trips for staycations in nearby Gulf Coast destinations like Lido Beach, Longboat Key and Siesta Key Beach. Below are the current real estate listings available at Bradford Manor.